Let’s start this with a practical joke that I collaborated on with Leonard Nimoy as the target. In May, 1974 I was a young writer living in Manhattan, and I’d just started working on my first novel, a few years later published as Alongside Night. One of my friends was Michael Moslow, another writer who circled around the NYU Science Fiction Society and its two founders, Samuel Edward Konkin III (at that time an NYU post-graduate student in Theoretical Chemistry) and another NYU post-graduate student, Richard Friedman. One of the advantages of hanging around NYU students and attending an on-campus club, to non-NYU-students like Mike and myself, was easy access to the many celebrities who came to lecture. One of them was 1956 Nobel laureate in Physics, William Shockley, who at the time was much more controversial for his writings outside of his field, on eugenics and comparing the intelligence of racial groups. There were, not unexpectedly, major campus protests against Shockley speaking on the NYU campus, covered widely by all media. It was big news. Mike and I did not attend Shockley’s lecture. But speaking in the same NYU auditorium exactly one week after Shockley (and without any protests) was Star Trek icon Leonard Nimoy, Mr. Spock … and I had a sick idea that once I told it to Mike he could not be stopped doing it. Not that I even tried. Nimoy began his lecture to a packed house, Mike sitting near the back of the hall, me seated somewhere nowhere near Mike, because I wasn’t a complete fool. 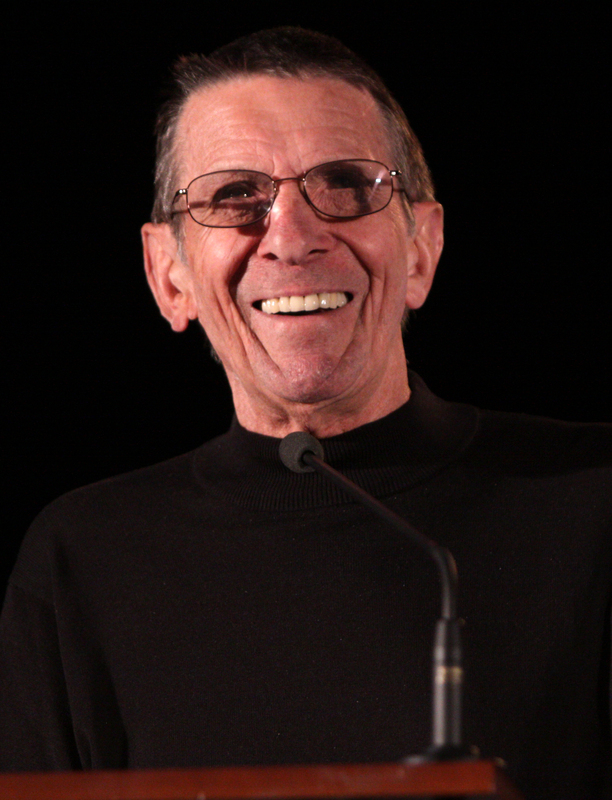 Everyone, including Nimoy, cracked up as Mike marched himself out of the auditorium, still shouting. At a Star Trek convention not long after that I met Leonard Nimoy and let him in on the joke, which he remembered and still thought was funny. Look, I’m a Trekkie old enough to have watched Star Trek in its original first-run NBC broadcasts. A TV Guide description of the next episode was enough for me to convince my ninth-grade history teacher to write on the blackboard the episode “Bread and Circuses,” broadcast on the Ides of March, 1968. In later life I’ve worked professionally with four actors from Star Trek series: Nichelle Nichols, Uhura in Star Trek: The Original Series, starred in the title role of the first feature film I wrote, produced, and directed, Lady Magdalene’s. Tim Russ (Tuvok in Star Trek Voyager), Garrett Wang (Ensign Kim in Star Trek Voyager), and Gary Graham (Ambassador Soval in Star Trek Enterprise) all have featured roles in the second feature film I wrote, produced, and directed, Alongside Night. When I spoke with Ayn Rand in August 1973 I asked her about Star Trek. So Star Trek has a permalink in my consciousness. But Star Trek, and Leonard Nimoy in particular, also had a profound impact on my understanding and describing some of the most mysterious experiences in my life. 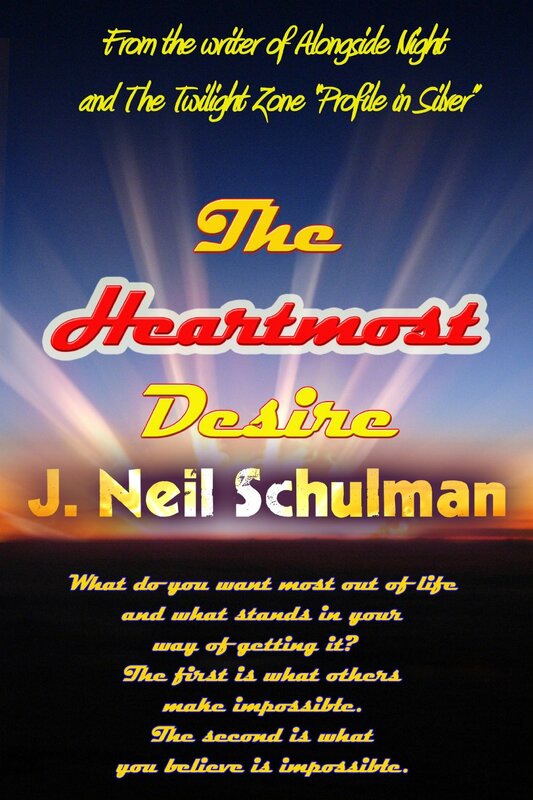 Here’s three excerpts from my book The Heartmost Desire, describing aspects of those experiences. Now, I had thought of myself as somebody who, if he identified with any character out of Star Trek, it was Spock. I was out of control. Suddenly my emotions were out of control. It was “Amok Time” — or something like that — without the mating ritual. It got to the point where on the night before my birthday I lay down in bed and this feeling of uncertainty — and remember this combined with this death phobia — I was afraid I was going to die from this, that something was happening in me that was killing me. I didn’t know what it was. Suddenly my worst fear, death was coming, you know, God is going to take me. I’m in the middle of a Twilight Zone episode. Hand on my heart. I’m scared to death – literally. And a voice — The Voice, which I knew was God’s voice — was saying, “I can take you now.” And I was scared. Something unusual happened at that point. The Voice, which had just said “I can take you now,” started laughing at me. It was totally inexplicable to me that while this is going on, God’s first reaction is to be astonished, and laugh, that I am scared of death. Who am I that God would be surprised that I’m scared of death? I’m not a war hero, who’s been an Audie Murphy who’s charged machine-gun nests, or anything like that. Why on Earth would God be surprised by that? This was one of the things going on while I am, in essence, scared out of my mind. And I felt The Hand leave my heart. I had accepted the contract. I thought, at that point, I wonder if this is simply some sort of psychological event, some fantasy my body is having to tell me that I’m having a heart attack? BRAD LINAWEAVER: While this was going on, weren’t you thinking about Heinlein’s situation as well as your own? BRAD LINAWEAVER: I just remember conversations I had with you at the time. Heinlein seemed to be very prominent in your mind. J. NEIL SCHULMAN: Very prominent, but at that particular moment I don’t know, okay? But again, it was this clinging to God, praying so tight that nobody dies, that no harm comes to everybody. You know this panicked clinging, which was what He was breaking. In essence He was telling me, “Don’t pray so much! because I’d been praying every day, constantly. Not just the Lord’s Prayer, but also the prayers for everybody to be okay – and not in the Christian sense of praying for their soul – but praying for them physically not to die, not to get hit by a truck. So, God ended that at that moment. They didn’t even want to take me down to the hospital for observation. My heart must have been rock steady at that point. They left. My roommate went back to sleep. And my panic was over. Whatever had happened – now that I knew that I was not dying — what had been going on for a week, with this recurring hyperventilation, this emotional lability, it stopped at that instant. It was over. The event was over. BRAD LINAWEAVER: Now, important question. So what would have been your first contact with God — when it was over you thought it might very well be God but you weren’t one-hundred-percent certain that it was God? 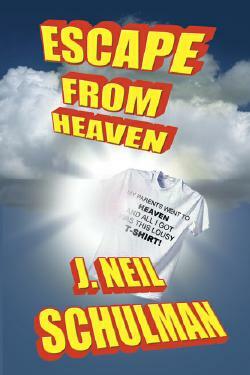 J. NEIL SCHULMAN: I was pretty certain that it was God. BRAD LINAWEAVER: Ninety percent or one-hundred percent? J. NEIL SCHULMAN: Ninety-eight percent. BRAD LINAWEAVER: But there was still two percent of doubt? BRAD LINAWEAVER: So you thought very likely it was God but you weren’t totally convinced, just almost. J. NEIL SCHULMAN: Right. There was always that two percent of doubt because I might be crazy. I knew that the human body was capable of doing odd things, and the human brain was capable of doing odd things. I thought that maybe I was suffering from some toxic poisoning from coffee or something like that. Maybe this was some sort of hallucinated experience. BRAD LINAWEAVER: Now another question. What would be your first encounter with God? Because a lot of people who have known you over the years, when they see your license plate “I met God,” or when they see the title of this book, are going to be thinking about your econd encounter — which we we’re not getting to for a while yet — which you call the Mind Meld with God, which is the most intense meeting with God. But, in fact, this is the first meeting with God? BRAD LINAWEAVER: But this is not the Mind Meld. That was a later experience? J. NEIL SCHULMAN: That is correct. This is a frightening and entirely confronting and unpleasant experience. BRAD LINAWEAVER: And, it’s the most unusual thing about what would be your first encounter of God. The first time you move from agnosticism to pretty damn close to the theistic position, that you now believe there is a God. You’re awful close to it now, that the first thing, in effect, you get out of your first encounter with God is? J. NEIL SCHULMAN: God telling me to stop praying. J. NEIL SCHULMAN: Yes. Bizarre. And also, just as bizarre, God laughing at me because he can’t believe that I’m afraid. BRAD LINAWEAVER: Right, so there’s two things. The sense of humor, which a large part of your argument about God, you’ve argued. A large part of your novel, Escape from Heaven, and many times on Jack’s show when you’re explaining your real beliefs, your view that God has a sense of humor, is a very, very important part of everything you’ve been building out of these experiences. This was the first time you had the idea that God had a sense of humor, his laughing at your fear? J. NEIL SCHULMAN: Yes. You know a really rough sense of humor. But two events happen. One of them is Heinlein dies. I let go and a few weeks after that he’s dead. Okay? I’m told that I can’t keep him alive any more and a few weeks later he’s dead. And it’s almost like what was going on with me was not, in fact, a caffeine reaction, or a coffee reaction or something like that. But in essence this link, which I have set up psychically with Heinlein, is killing me, and unless I let go I’m going to die. BRAD LINAWEAVER: Die along with Heinlein or in place of Heinlein? J. NEIL SCHULMAN: Along with, I’ll go with him. BRAD LINAWEAVER: Were there were links to others, too? It sounds like there were a couple of links. J. NEIL SCHULMAN: Yes, but the others weren’t dying. I’ve linked up with a number of people and one of them is dying and it’s going to drag me along with it. On the metaphysical level if we want to look at it in these terms, that’s what was happening. BRAD LINAWEAVER: This psychic link with a dying person, dangerous move. J. NEIL SCHULMAN: Right. And then he dies, May 8th, was that the date? Now. Something else happens, very significant. I have a dream. In my dream I am in a courtroom and to my side is my counsel and my counsel is a woman and my counsel is God. Not, in some same sense, the God who had his masculine hand on my heart a few weeks before that. But God as a female and God is my lawyer. BRAD LINAWEAVER: The same question repeated? J. NEIL SCHULMAN: Right. What was it, why was I afraid? God is obviously surprised that I could be afraid and apparently it’s something that needs to be resolved. BRAD LINAWEAVER: But God is asking for permission to look at sealed records in effect. J. NEIL SCHULMAN: Not only God but all these judges in this courtroom. BRAD LINAWEAVER: But what’s impressive is, God won’t look at these records without permission. Do I have this right? J. NEIL SCHULMAN: That is correct. And I said, “Yes you can look.” And only a few seconds go by — it’s not like court is adjourned, we’ll be back later — a few seconds go by and they have the answer immediately after I give permission. Now, I woke up from this dream and the phobia that had dogged me my entire life up to that moment was gone. BRAD LINAWEAVER: The phobia was gone? J. NEIL SCHULMAN: The phobia — something, which had dogged me my entire life – was gone. Okay? Now what sort of dream is it that you have, that changes your life, that changes something fundamental about you? This was remarkable to me, I have a dream and then suddenly, this thing which I have never been able to go to bed without distracting myself so I wouldn’t think about death, suddenly this is gone? BRAD LINAWEAVER: The dream reinforced the first meeting with God. You could actually argue that this dream is either an epilog to or a second encounter with God, but it’s logically tied to that first encounter. It is all of a piece with the hand on the heart and that you’ve got to let go what you are afraid of, all of that is a piece of the same experience, the same event. Therefore, at the end of what might be called this first encounter with God, you’ve had a major psychological change and you as somebody who used to be an atheist, and then have gone through this agnostic period, are wondering why the thing that would get you over the hump of such a dire problem, why you of all people ould be imagining that it’s God? Since you’ve never felt for most of your life a need for God. BRAD LINAWEAVER: And yet God shows up in this situation and suddenly a huge life problem of yours is resolved. It’s like, what is it eight years later when you have the Mind Meld? There’s a good chunk of a decade that separates this event from the next encounter with God. Which means you’re not just having — like these people who claim they have born again experiences and God’s in their heart and they’re in communication with God all the time — you go through a long period of time from this moment to the next time you have an encounter with God. J. NEIL SCHULMAN: Napoleon, or Jesus Christ. As you say, the asylums are full of people who claim to be Jesus Christ or Mary or something like that. But the point is they’re going around trying to convince other people of it. The last thing I wanted to do was tell anybody about this. Because, if I thought I was crazy, certainly they would think I was crazy, too! I didn’t want to tell anybody that I was considering — inside my skull — the idea that I was God. They’d put me away! I was pretty much back to myself after the first few weeks, when I started feeling physically stronger again, and no longer had this fear that this was an end-of-life experience. Because, by the way, people who I’ve spoken to about this experience since, say that, in some senses, it matches up with the near-death experiences of those who have had their hearts stopped or something like that and found themselves out of themselves. Because, when I would try to explain that I was out of my personality, people would hear it and think of it as an out-of-body experience. I wasn’t out of my body. God was in my body with me. That was different. BRAD LINAWEAVER: No, it’s definitely flipped from the normal. It’s definitely different. J. NEIL SCHULMAN: Right. So, again, I didn’t want to go around telling anybody I was God. Not during the experience and not afterwards. J. NEIL SCHULMAN: No, it wasn’t an invasion because it was welcome. The experience was entirely welcome. J. NEIL SCHULMAN: How about had communed with me? BRAD LINAWEAVER: Or double exposured, or whatever? J. NEIL SCHULMAN: How about conversation in the Biblical sense? That it was a joining? Instead of a physical joining it was a spiritual joining? Or to use the metaphor which I came up with later, it was a Mind Meld. These experiences formed the backdrop of my 2002 third novel, Escape from Heaven, so when I first received printed copies of the novel I decided that the man who had told me about the Shekhina should be given a copy. Living in Culver City it wasn’t far to drive to Leonard Nimoy’s house in the Bel Air section of Los Angeles. Susan Nimoy smiled but Leonard Nimoy didn’t return the Vulcan salute and in true Vulcan fashion, he didn’t smile as I drove away. Watching Citizenfour in its HBO premiere Monday evening, a day after it won the Oscar for Best Feature-Length Documentary, leaves me with the perception that I haven’t watched a documentary but a work of dramatic fiction. This is not to criticize documentarian Laura Poitras for deliberately slanting coverage of her subject, Edward Snowden, toward the sympathetic. She’s entitled to an editorial point of view. The trouble is with Edward Snowden, himself, as much in this film as in Brian Williams’ NBC interview with Snowden that aired in May 2014. Edward Snowden explains his actions in terms common to fictional heroes, and when non-controversial characters like these are found in real life they’re usually decorated military, police, or firemen. What makes Edward Snowden come across as a fictional character is that he as an individual – with no institutional backing – took unilateral action with global consequences and justifed his actions on moral grounds. In real life when this happens it’s usually a terrorist – a bomber, assassin, or violent psychopath – pitting his moral claims against a society he sees as wrong. But Edward Snowden is not a nut job, rather a sane and reasonable man who found himself with an unique opportunity to act against grand institutional criminality that he saw could not be corrected within an existing institutional framework. 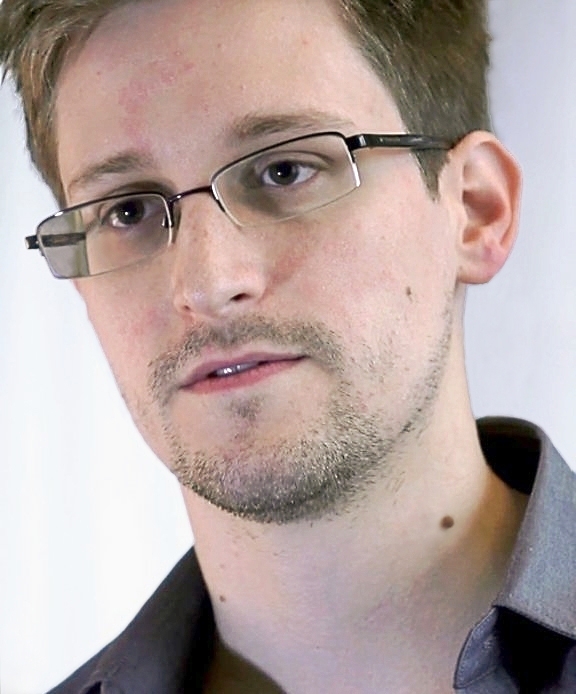 That makes Edward Snowden the rarest of real-life characters: a noble and effective revolutionary. In real life it’s exceptionally uncommon to find a man like Edward Snowden, facing felony charges of violating espionage laws, and living a relatively low-profile life in exile. Edward Snowden reminds me of no fictional character so much as Ayn Rand’s John Galt in her novel Atlas Shrugged, an engineer who decides to sabotage a state growing toward totalitarianism, by first withdrawing his personal sanction then convincing others of talent and expertise to do likewise. 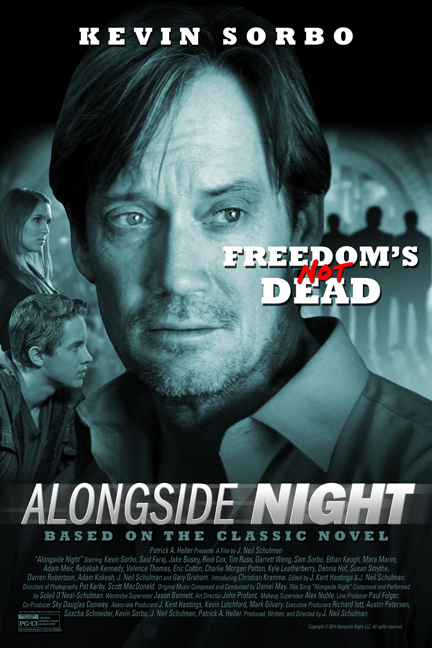 But Edward Snowden is not a fictional character out of Atlas Shrugged … or my own novel and movie about a current-day rebellion against the United States government, Alongside Night. He’s a real-life current day American Revolutionary in the direct tradition of the Founding Fathers. Patrick Henry made that statement in 1765, eight years before the Boston Tea Party, ten years before Paul Revere’s ride and the Battles of Lexington and Concord, and 11 years before the Continental Congress signed the Declaration of Independence triggering the American Revolutionary War. Make no mistake: if America is not to degrade into totalitarian fascism then Edward Snowden is a harbinger of a re-upped American Revolution. His explanation in support of his having revealed what he regards as unconstitutional criminal acts by the United States government is based on the same principles as the Declaration of Independence’s explanations for refusing to obey the laws of Britain’s king and parliament. Snowden is a hero to me because I share with him the libertarian values of the American Revolution and do not see anything short of a revolutionary refusal to abide violation of fundamental human rights under color of law as a remedy. I don’t know what’s more frightening: that we have a real-life John Galt declaring in our own time the reasons for rebellion against a burgeoning American tyranny that betrays its Enlightenment foundations … or that we need one. Best-selling Author John DeChancie posted this yesterday on his Facebook wall. 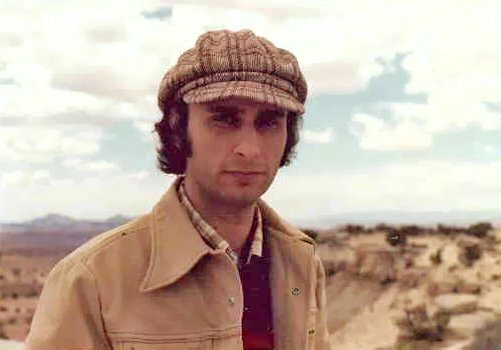 John DeChancie is a well-known author of science fiction and fantasy. He is most famous for his Skyway Trilogy (STARRIGGER, RED LIMIT FREEWAY, PARADOX ALLEY) and his seriocomic fantasy adventure series beginning with CASTLE PERILOUS and running to nine volumes. The ninth is due out soon! His short pieces have appeared in many magazines and paperback original anthologies. Living in Los Angeles, he is at work writing more fiction in addition to screenplays and teleplays. He has a background in music, TV and film production, and was the 2005 recipient of the Forrest J. Ackerman Award for lifetime achievement Science Fiction.